Drinkable water is the most precious asset, and it is often taken for granted in everyday life. It is a commodity for many people, we commit every day to offer a quality service. Our mission is to achieve a clear, sustainable and quality use of drinkable water by everyone. For this reason we manage every day the integrated water cycle in certain provinces of Lombardy. Integrated water cycle means the management of three services: aqueducts, sewerage and purification. The management of aqueducts implies the collection and distribution of drinkable water, including any sanitisation and purification, if required. The supplied drinkable water comes from springs and wells. The sewerage service, on the other hand, consist of the collection and dispatching of waste waters to the sewage plants. In the treatment station, the waste waters are treated for removing the pollutants so that its quality will be compatible with the protection of the environment in which they are dispatched. The aqueducts of A2A Group are managed, in Brescia and in its province by A2A Ciclo Idrico and by ASVT. 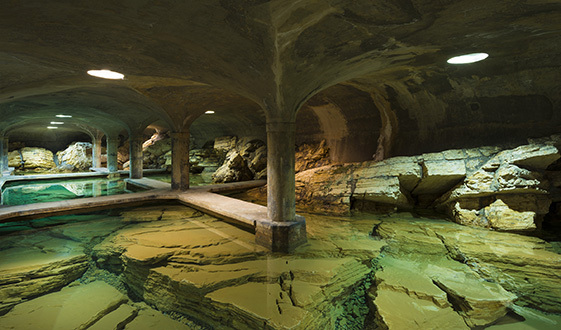 For the treatment of waste waters, two main sewage plants were built in Verziano (Brescia) and Bergamo, and they are connected to the sewerage networks of the two cities and have respectively a 250k and 220k population equivalent. A2A Group manages also the sewage plants in several municipalities of the two provinces and the sewerage service in Brescia, Bergamo and in some municipalities of the two provinces.